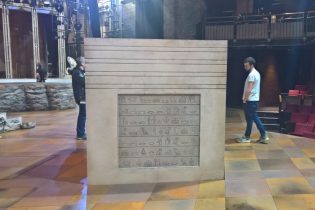 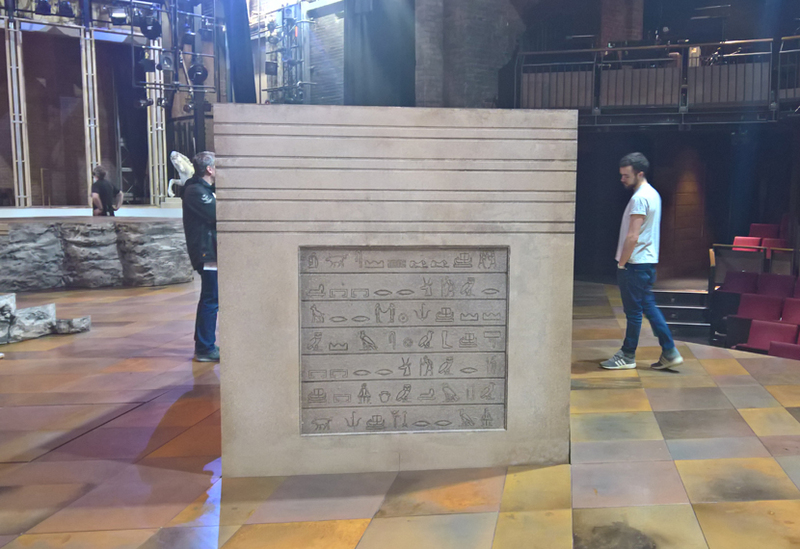 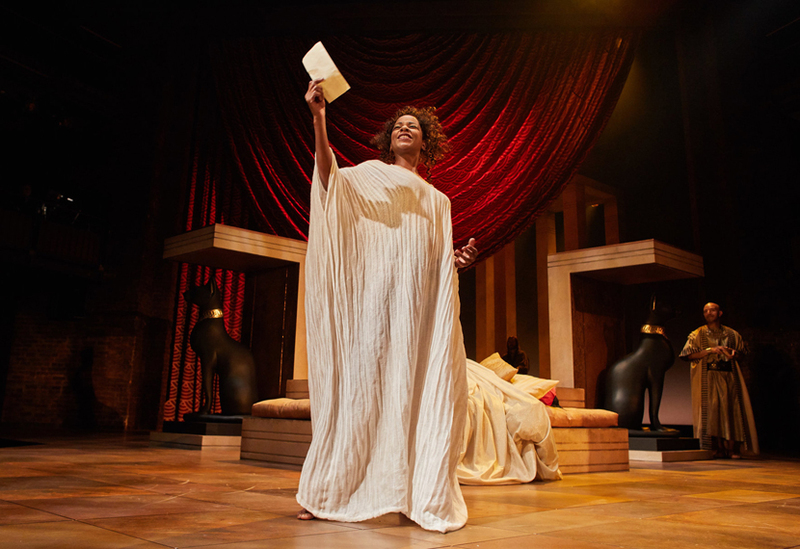 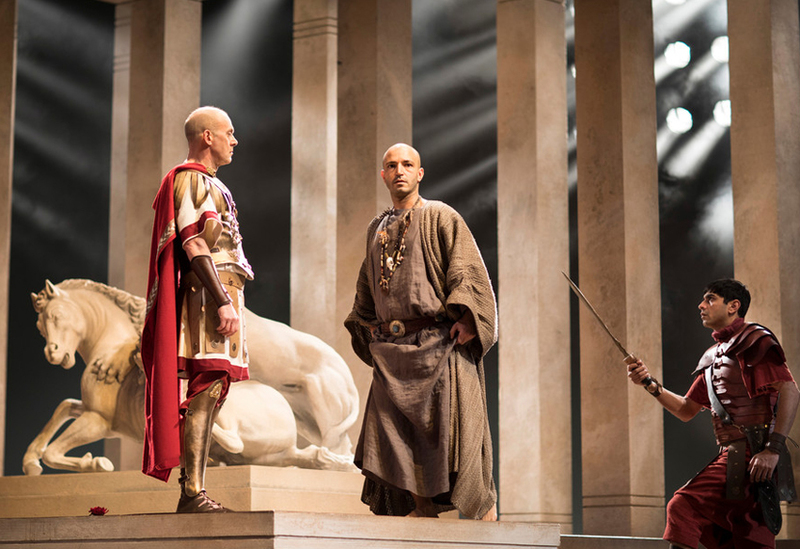 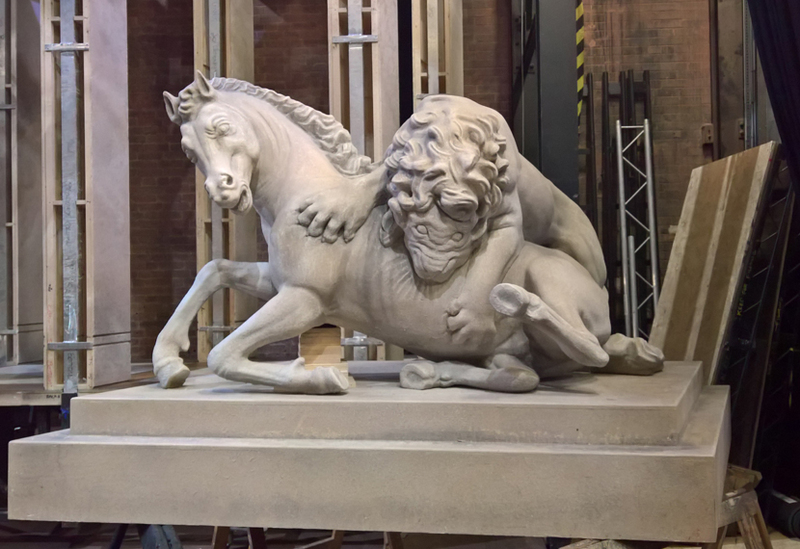 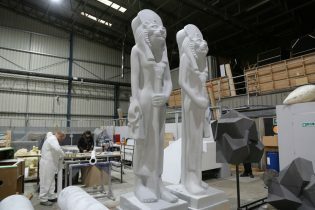 We provided a quick-turnaround package of stage engineering and sculpting for the RSC Rome Season, manufacturing a 7.5m platform lift and six statues. 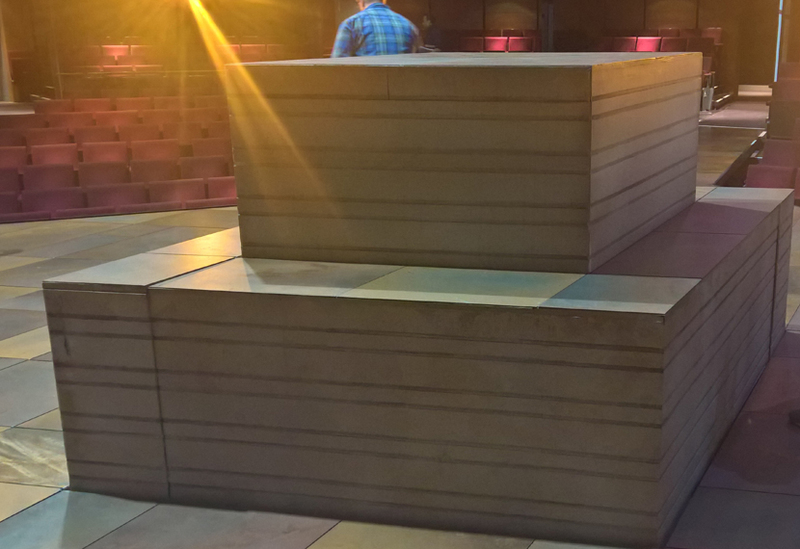 The stage lift comprised a central diamond platform and two ‘L’ shaped platforms. 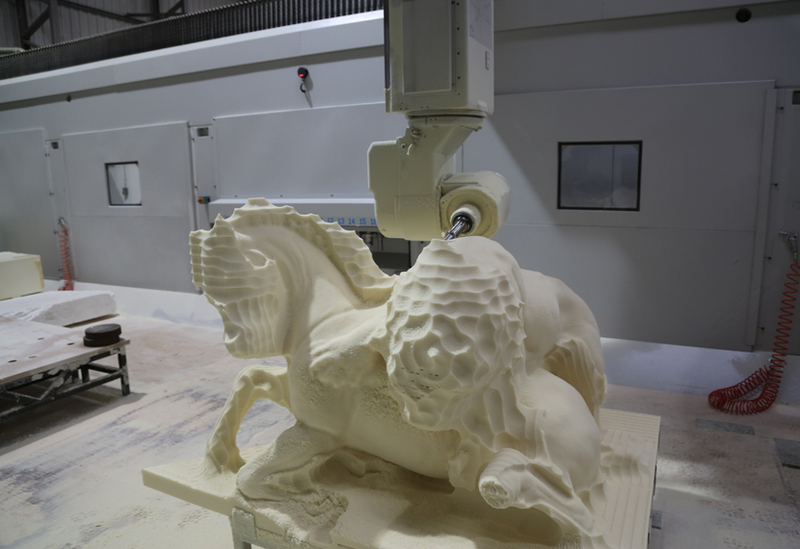 All three elements could function together or independently, allowing for numerous different configurations. 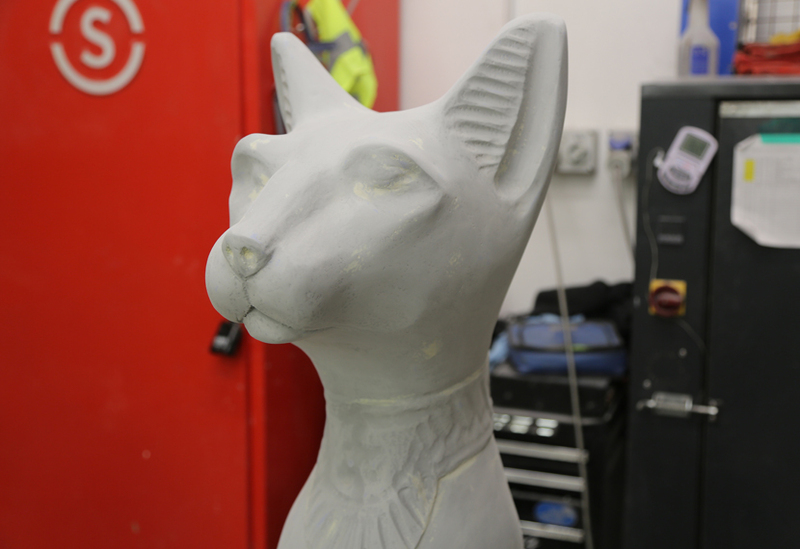 All metalwork was sprayed black, ready for the client to add their own scenic finish. 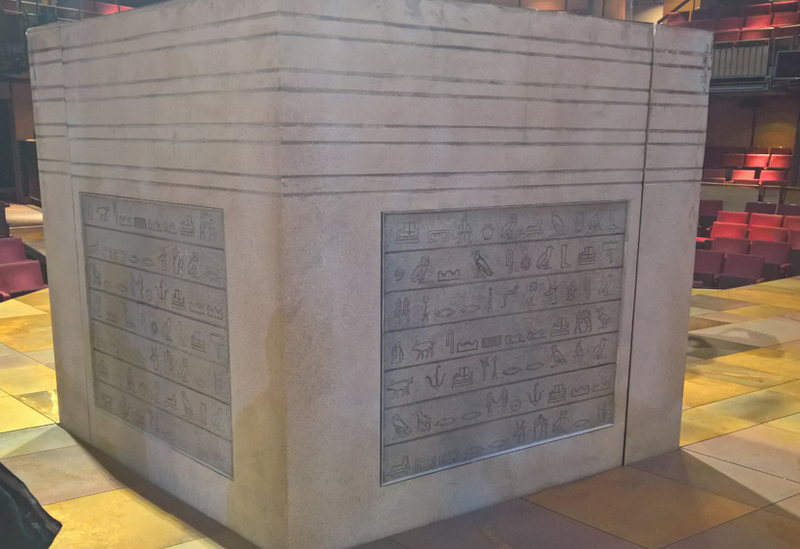 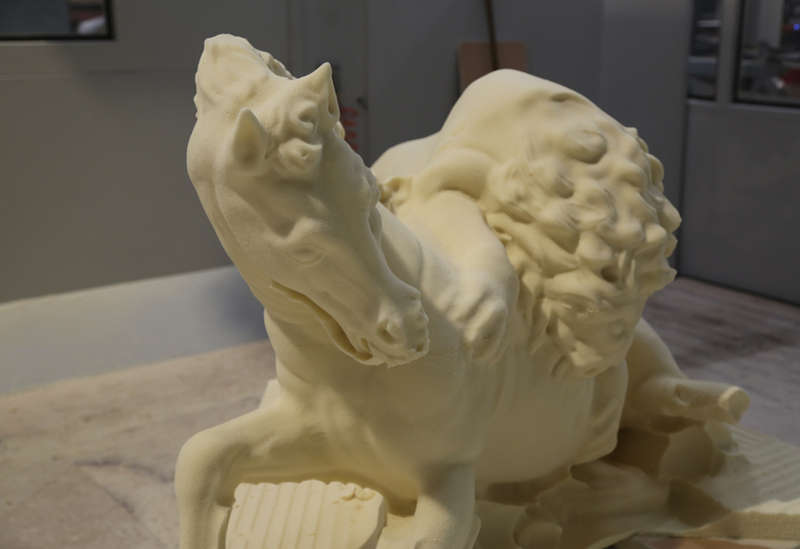 The six statues included two each of a Cat God, Lion God and a lion attacking a horse. 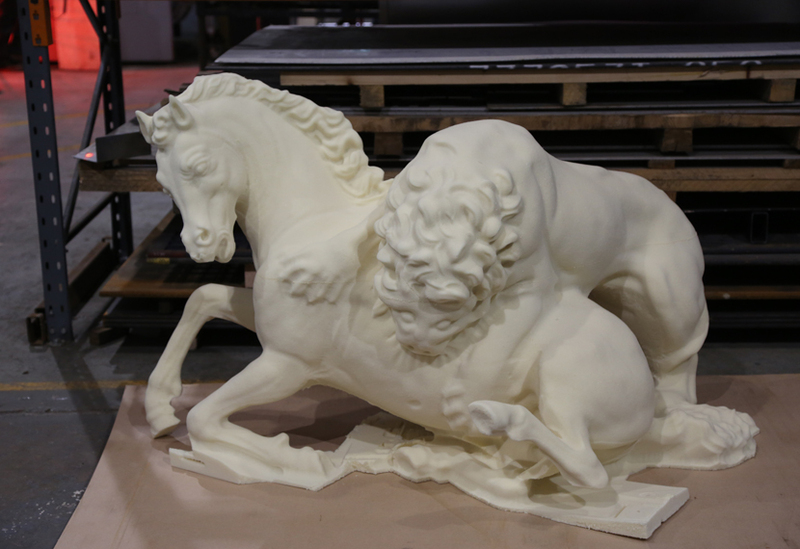 The client provided small models of each which were scanned by our 3D scanner in order to create the exact replicas specified by the client. 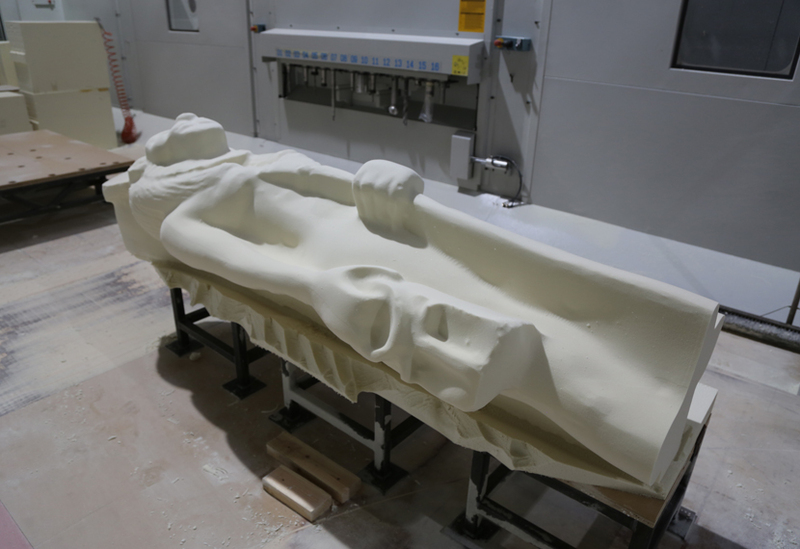 The scanned models were scaled up to the required dimensions before sculpting in our large volume 5 Axis CNC machine. One of our sculptors then worked in consultation with the designer in order to refine each design. 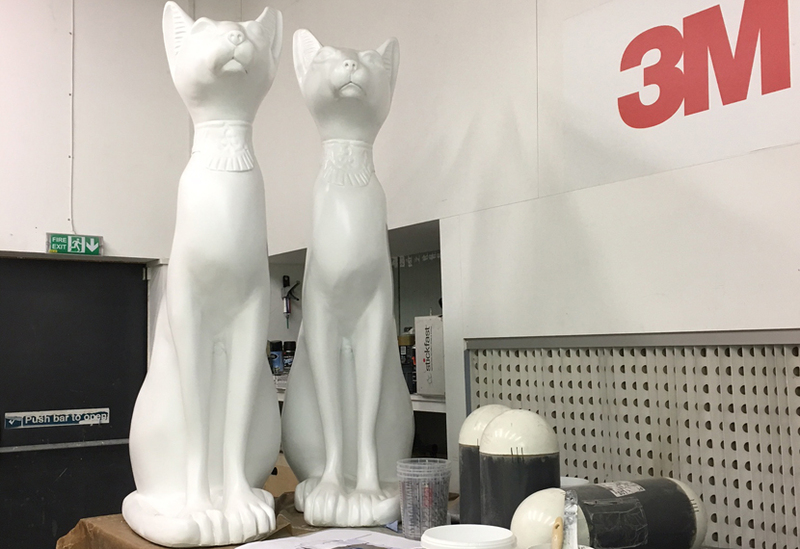 Each statue was hardcoated and delivered ready for the client to add the required scenic treatment.